NEW YEAR ASTROLOGY SPECIAL: Gift 2 readings (for yourself or other: $150 (must be booked by 2/15/2019; redeemable until 6/15/19). 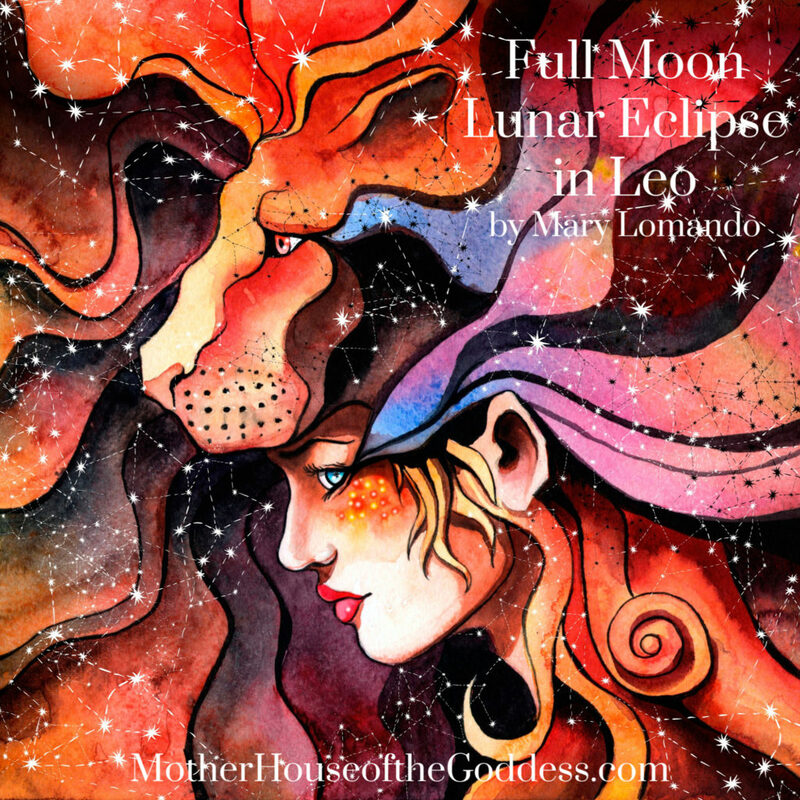 This Full Moon in Leo is not only a Super Full Moon, but a total lunar eclipse, as well, and follows of the Solar Eclipse of January 5 (see my previous newsletter). Eclipses occur in 19 year cycles. We experienced a lunar eclipse at the same degree of Leo at the beginning of the year 2000. Themes related to love, self-expression, creativity, and children (Leo rules the “inner child”) may crop up again for review. Occurring at zero degrees (called a “critical degree” ) in the fire sign of Leo, this Full Moon emphasizes our heart energy, our passion, and self-expression. Where do we find our joy in life; and even more importantly, are we able to express it? Heart blockages occur on many different levels. Long standing resentments, bitterness, and martyrdom can close down the heart chakra. Developing tolerance, compassion for others, and self-love works wonders for opening the heart. A Lunar eclipse is a full moon with exclamation points! Lunar eclipses generally bring up themes regarding the important women in our lives, as well as our family history, subconscious memories, and dreams. During any eclipse, the natural “light” is blocked for the duration of the eclipse; during these phenomena, our human (and planetary) bio-energetic fields “collapse and get re-booted”. An “eclipse” means something must end, so that something new may be created. What part of our old self needs to “die”, so that we may move forward? Use the timing of this eclipse wisely…meditate if you can; insights, dreams and synchronicities may hold important information from your higher self over the coming weeks. A new chapter is beginning as the old one closes. This Lunar eclipse falls in the sign of Leo, the Divine Child. Leo emphasizes creativity, self-expression, and the courage to follow your dreams. Leo is a fire sign, and symbolizes passion, joy, and the life affirming positive energy of the sun. Where is your heart drawing you at this time? What does your inner child want to create, to feel? Eclipses travel in 19 year cycles. What was happening in your life in the year 2000, the “millennium “ year? There is a message there for you during this eclipse. The ancient astrologers believed that it was better not make any important life decisions around lunar eclipses. The reasoning for this is that deeply held subconscious attitudes may influence your rational decision making process; therefore, it is better to postpone making important emotional decisions, as your plans may not work out as expected. Watch who comes into your life, or leaves (especially women) around this eclipse, since the moon rules the important women in our lives. On a transformational and psychological level, eclipses are associated with the unmasking of something which has been hidden. Secrets are exposed. In the heart-opening sign of Leo, this is an opportunity to ask for the courage to love unconditionally, to clear any blockages of fear and distress which have shut down our creative energy. As is true for any native with planets in Leo, pay close attention to the condition of your physical heart during this time. This Full Moon is conjunct the North Node in Cancer, signifying that our collective karmic destiny points to an increased appreciation and love for the Divine Mother, no matter what name we give Her. Her message is one of healing, compassion, and to love our bodies, as well as the Earth. If we cannot accept ourselves; it is difficult to accept others. Ignoring Her message will only perpetuate the cycle of abuse, denial and suffering on the planet. During this eclipse time, there is an element of the “wild card” with Mercury making a challenging aspect to the planet, Uranus . Be prepared for some emotional surprises with this Full Moon. Situations which occurred around the January 5th solar eclipse (New Moon) may be coming to a climax now. Try not to issue any final “ultimatums”, unless you are prepared for the results. Perplexing issues may quiet down in a few days. 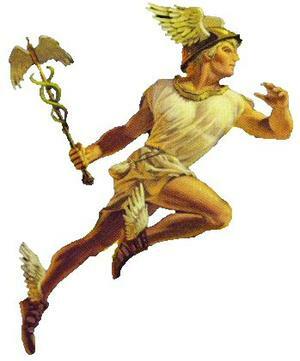 Mercury is called “the Messenger” of the gods”. Pay special attention to your dreams now. There may be messages coming. If you are feeling uncharacteristically anxious, or having trouble sleeping or “quieting” your mind, listening to meditation tapes / music may help. Also, aromatherapy massage, reiki treatments, herbal teas and medicinal baths may help to ease the electromagnetic “static in your brainwaves. Try to avoid excess caffeine, sugar, and stimulants; and be sure to “unplug” all electrical devices ( computer/ cell phone, etc.) especially before bed.